Banzai. Noun. 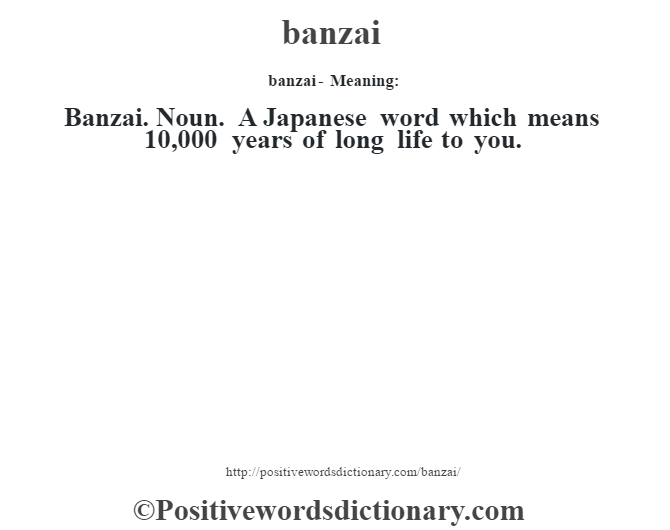 A Japanese word which means 10,000 years of long life to you.